It's been a long time from my last shot. Because I was too busy with my traditional Lunar New Year and some rush projects. 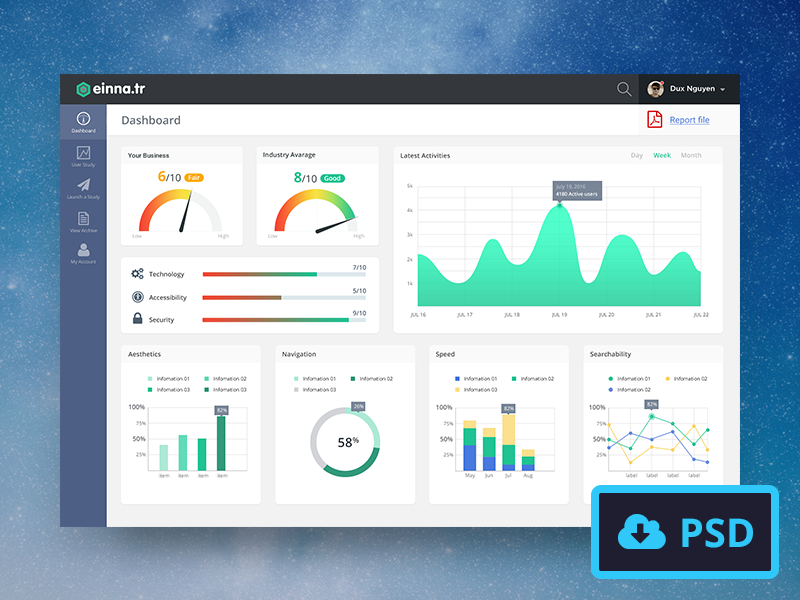 Today I have a small gift for my friends, a Dashboard Free PSD (for personal use only, not for sale or commercial purpose). 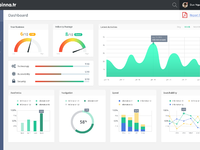 This dashboard is customized from my UX Dashboard project for UXArmy, it contains some most popular types of chart that I usually work with, such as clock chart, curved chart, bar chart, Pie chart, stacked bar chart and line chart. I hope it would be helpful if you need some charts in your design. And if you 'Like' my works, please press 'L' or Follow me so we keep getting in touch together.